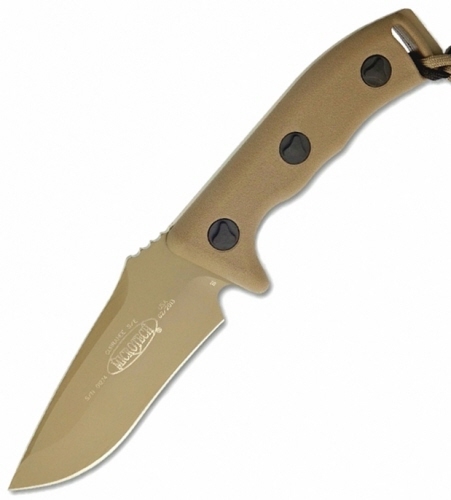 Microtech Currahee Fixed Blade Knife Drop Point Tan Standard 102-1TA, 4.5" Blade, Overall length 9.8" with a polymer handle and molded Polymer sheath. Brand new in the box. Made in the USA.